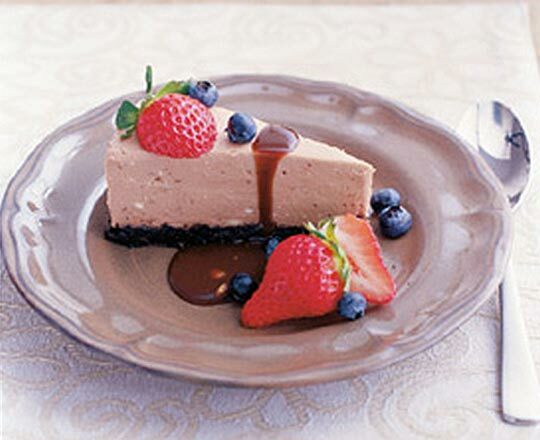 Rich, creamy and delightfully chocolaty. Microwave the cookies for 30-60 seconds, or until warm and cream is softened throughout. Press firmly into the base of a greased 20cm spring form pan. Chill until firm. Beat the Philly* and sugar until smooth. Stir in the gelatine mixture and fold in the melted chocolate and the cream. Pour the filling into the prepared base, refrigerate 3 hours or until set. Drizzle with Toblerone* Fondue and serve with mixed berries.